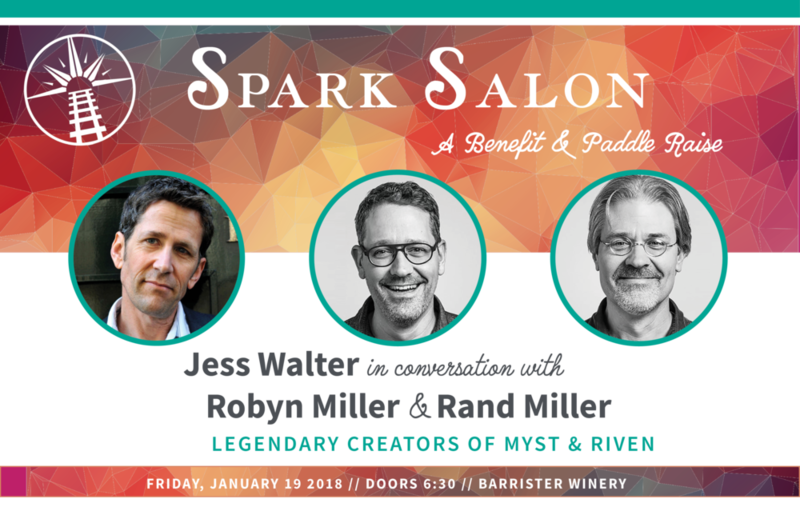 Last year we launched Spark Salon, our annual fundraiser and paddle raise, to much success. Our 2018 event will bring video game developers Rand and Robyn Miller of Cyan Worlds back to their hometown of Spokane. They will sit down with Jess to share the story of creating their first big video game, Myst (which was the single best-selling PC game for a decade) and it’s sequel Riven, as well as their new ventures into Virtual Reality. Guests will be presented with the chance to hear how Rand and Robyn forged their path to a creative life, including the trials and joys along the way.